Mangaluru, Nov 27, 2017: In view of the water conservation being a top priority ahead of approaching summer, the Dakshina Kannada district administration asked industries and other major consumers to submit their plan to reduce water usage by at least 30% during February-April. Chairing a preliminary meeting on drinking water, DK DC Sasikanth Senthil S. said the level of consumption by industries and other consumers should be brought down by 30% from February to April. Such a reduction, he said would help in ensuring uninterrupted usage of available water till the second week of June. “The availability of water sufficient for 90 days during the summer can be stretched up to 140 days with the proposed reduction. We have to make plans till the second week of June when we can expect some showers,” the DK DC said, and asked everybody to contribute towards minimal use of water between February and April. DK administration is coming out with a contingency plan on water usage by taking into account a likely delay in the monsoon, he said. Plans needed : Representatives of Mangaluru Special Economic Zone and Mangalore Refinery and Petrochemicals Limited said they drew 60 million litres of water per day (MLD) from the AMR dam, which is upstream the Thumbe vented dam, Mangaluru’s only water source. DC Senthil asked the representatives to submit their plan for reducing water consumption in a week’s time. An official from Mangalore Chemicals and Fertilizers, which gets 9 MLD, said they will stop fertiliser production between April 25 and May 31. DK DC Senthil asked the Mangaluru City Corporation to inform other major consumers to submit their plans for reducing the usage of water. “We need to place facts before people for controlling water usage,” he said. Officials were asked to close gates at the Thumbe vented dam at the same time when the AMR dam closes its gate. The administration has planned to impound water at 6 meters at the Thumbe this time, he said. While asking the Major Irrigation Department to keep day-to-day note of water levels at Thumbe, AMR dam and two other water reservoirs, DC Senthil directed that water from these reservoirs should not be released without his permission. In Mangaluru : Power supply would be affected in and around Gurupura, off Mangaluru, between 9.30 a.m. and 6 p.m. on Nov 28, Edapadavu, Kolambe, Muduperara, Kinnikambala, Mundabettu, Malali, EPIP area and surrounding areas. In Udupi : Power supply would be affected in many parts of Udupi district on Nov 28, Tuesday except Karkala taluk, Udupi town and Kaup sub division in view of emergency maintenance works. Between 9 a.m. and 5 p.m., power supply would be affected in Shivalli Industrial Area, Indrali, Paniyadi, Moodusagri, Lakshmindranagara and surrounding areas. Karvalu, Manchi, Manipura, Moodubelle, Kattingeri and surrounding areas would go without power supply between 9 a.m. and 3.30 p.m. Areas fed by Udyavara and Parkala feeders, including Kukkikatte, Korangrapadi, Bailuru, Udyavara, Moodubettu, Katapady, Parkala, Herga, Hiriyadka, Onthibettu and surrounding areas, would not receive power supply from 10 a.m. to 6 p.m. There would be no power supply between 9.30 a.m. and 5 p.m. in Kodavooru, Salmara, Kola, Fish Curing Yard, Malpe, Vasukinagara, Hanumanthanagara and surrounding areas. Power supply in and around Brahmavara would be affected between 9 a.m. and 4 p.m. The areas affected include Sasthana, Pandeshwara, Airodi, Gundmi, Hangarakatte, Uppinakote, Belurujeddu, Kumragodu, Chantharu, Varamballi and surrounding areas. 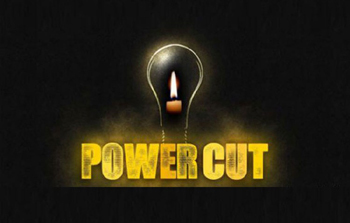 Areas fed by Barkuru Express and Mandarthi feeders, including Hosala, Heradi, Hanehalli, Kooradi, Naduru, Mandarthi, Heggunje, Shiruru, Pejamogeru and surrounding areas, would face power cut between 10 a.m. and 2 p.m.
Power supply would be affected between 9 a.m. and 5 p.m. in areas fed by Vandse, Bhandya, Hemmadi, Gulvadi, Gangolli, Trasi and Mullikatte feeders. The affected areas include Herikudru, Tallur, Uppinakudru, Kattabelthuru, Hattiyangadi, Jadkal, Kenchanuru, Gujjadi, Kavradi, Ajri and surrounding areas. Areas around Saligrama would not receive power supply from 10 a.m. to 2 p.m. The areas include Vaddarse, Giliyaru, Kodi, Kavradi, Yadadi, Korgi, Halladi-Karkadi, Saibrakatte, Hiliyana and surrounding areas. The issue is not re power cut at all?? ?